In order to help our customer decide what kind of coffee they should have, we decided to include to our store pages some information about the different kinds of coffee. A coffee bean contains one to two per cent caffeine, which is responsible for the stimulating effect of coffee. For those who cannot tolerate caffeine but do not want to give up their enjoyment of coffee, the raw coffee beans are decaffeinated. To do this, the beans are moistened with water and steam using special equipment; suitable solvents are then used to wash out the caffeine and traces of the solvent are dispelled using steam. For technical reasons, a small residue of caffeine is unavoidably left in the beans, but the maximum one gram of caffeine per kilo dry weight of decaffeinated coffee may not be exceeded. The caffeine which has been washed out is dried and reused, for example in cola drinks. The decaffeinated beans are then dried to the correct pre-roast level of moisture and can be roasted normally. Almost all brands we are selling, have decaffeinated coffee in their selections. Please check out our Decaffeinated Coffee. Mild coffee usually has the same level of caffeine as regular coffee. The biggest difference from regular coffee is the less intense mild flavor. This coffee is pre-processed to remove some acidity, bitterness, and harshness of regular coffee. It is usually light roasted coffee. Mild coffee is “stomach friendly” coffee; it is recommended for those with sensitive stomachs. If you experience heartburn, upset stomach, or indigestion from regular coffee, try these kinds of coffee and start enjoying your coffee again! The most famous brand for mild coffee is IDEE. Mild coffee is becoming more and more popular. Please check out our selection of Mild Coffee. The opposite of decaffeinated and mild coffee, is full body (or regular coffee). It is the least pre-processed coffee. Essentially, the process to get regular coffee is to only roast the green coffee beans. Consequently, the biggest difference between regular coffees is how they are roasted. Time, temperature, level of moisture, and uniformity of roast are the major parameters of the roasting process. From light to mild, to dark espresso roast – all of these, you will find in our store. Espresso is a concentrated coffee brewed by forcing very hot, but not boiling, water under high pressure through coffee that has been ground to a consistency between extremely fine and powder. It was invented and has undergone development in Milan, Italy since the beginning of the 20th century, but up until the mid 1940s it was a beverage produced solely with steam pressure. The invention of the spring piston lever machine and its subsequent commercial success changed espresso into the beverage we know of today, produced with between 9 and 10 atmospheres of pressure. Properly brewed espresso has three major parts: the heart, body and, the most distinguishing factor, the presence of crema, which is a reddish-brown foam which floats on the surface of the espresso. As a result of the high-pressure brewing process, all of the flavors and chemicals in a typical cup of coffee are concentrated. Some people prefer a single or double shot instead of one or two cups of coffee to get a quick shot of caffeine. But contrary to popular belief, espresso contains less caffeine per serving than other types of coffee due to the quick extraction process. Also, because of its intense and highly concentrated ingredients (including caffeine) espresso lends itself to mixing into other coffee based drinks, such as lattes, cappuccini, macchiati and mochas, without overly diluting the resulting drink. A frequent misconception about espresso is that it is a specific bean or roast level. Any bean or roasting level can be used to produce authentic espresso. While some major North American chains push dark roasts as their espresso roasts, some of the winning blends used in the World Barista Championship have been what is classified as a medium or "City" or "Full City" roast, with little or no visible surface oil on the beans. The popularity of different levels of roast in espresso varies greatly. Espresso is typically a blend of beans roasted anywhere from very light to very dark. In Southern Italy, a darker roast is preferred but in Northern Italy, a more medium roast is the most popular type. Companies such as Starbucks and Peets have popularized darker roasts in North America and around the world, but the current trend in espresso coffee is matching the roast level to the bean type; this means that the most popular roast style is moving away from being associated with roast color, and more associated with what will produce the best flavor extraction in the cup for each region and type of bean. Please check out our selection of Espresso Style Coffee. Instant coffee was discovered in earlier 1900's; production processes was developed in 1930-1940's. in the 1950's, Instant coffee was widely launched onto the market. A cup of instant coffee can be prepared quickly and easily, without brewing, since this has already been done in the factory. There are 2 techniques used to produce Instant coffee: Freeze drying and spray drying. 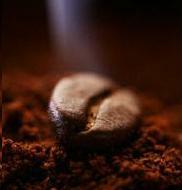 To create instant coffee, regular coffee is roasted, ground and brewed. Then extract the coffee particles and the remaining liquid is evaporated using method of freeze drying which produces a better quality, smoother tasting coffee. During the freeze drying process the coffee liquid is frozen to minus 40°C which causes the water particles in the concentrated coffee to form ice crystals. Using a method known as sublimation the ice is extracted from the frozen granules using a special chamber which dries the particles at a very low pressure leaving behind a soluble coffee. The other technique that can be use to produce instant coffee is spray drying. During spray-drying the concentrated coffee is sprayed into the top of a high tower together with hot air. Due to the heat the water evaporates as it falls, so that all that remains is dried powdered coffee. Spray-drying is simpler than freeze-drying but because high temperatures are needed for this process, many of the natural properties of the coffee are lost. Please check out our Instant coffee. * Sources for the information on this page are from Wikipedia and our own experience.